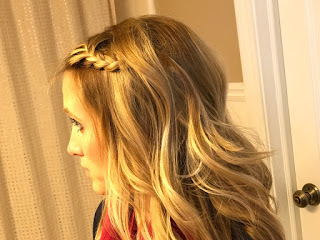 I’m excited to have a guest poster today highlighting fun hairstyles for spring. Make sure to check out her blog and videos — she is inspiring! Hi! I am Mallorie. I blog over at HairByMallorie.blogspot.com. 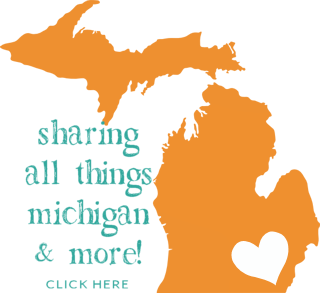 I have been a stylist for over 10 years, and I live in the Lansing area with my family. 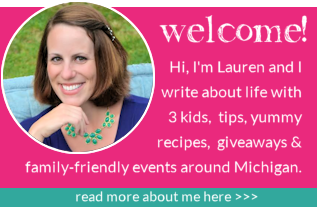 I am so glad to be writing a piece for Lauren’s blog! 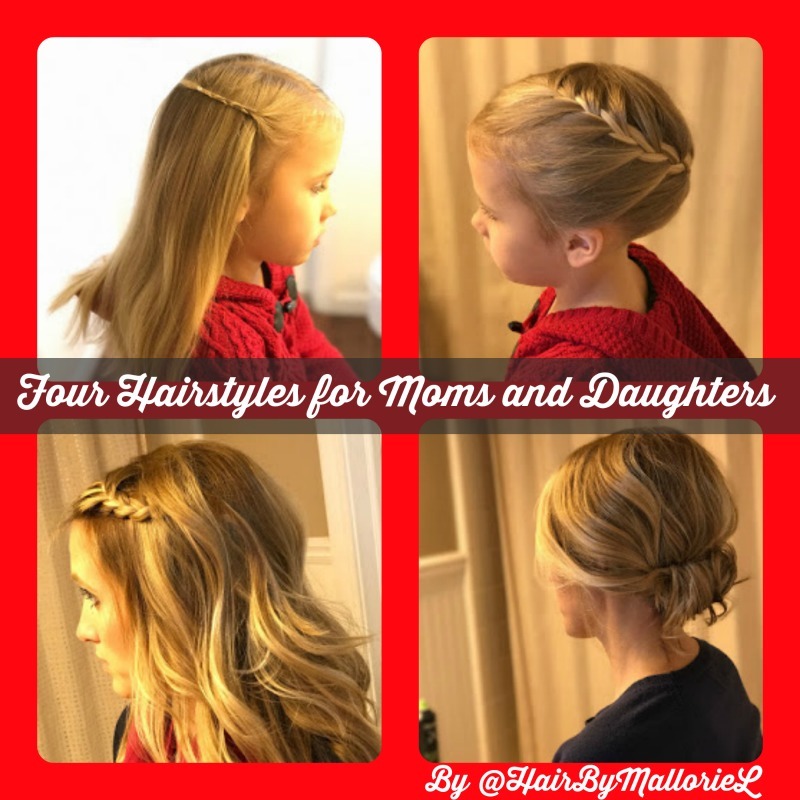 I created four fast and easy hairstyles for yourself and your daughters. 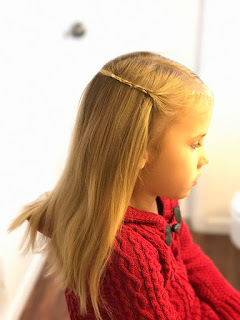 If you are looking for other tutorials I have some curling and additional braids archived on my blog. I hope you enjoy these! I feel like once it starts getting warm out, people (myself included) are always looking for ways to get their hair out of their face and not always throw it up in a pony tail. In these tutorials, I will demonstrate two styles on my daughter, Kinsley, and two styles on myself. Make sure to check out the video at the end for more visuals. The two on Kinsley are both very fast. 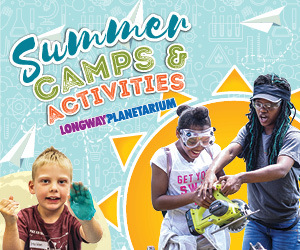 The first one is just two braids connected in the back. 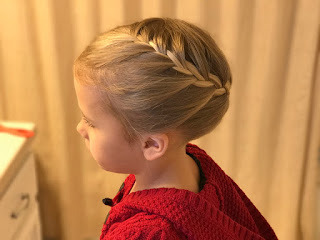 It is perfect if your little girl doesn’t love to have her hair up all the time, but doesn’t want it in her eyes. It is also great if you are still working on your French braiding techniques. The second is just a French braid but instead of starting it in the front of the hairline you start it at their part and then follow the shape of the head around the side. We call it the Elsa braid. The two styles on my self are generally my go-to styles. The first is a French braid in the front bang portion of my hair. In the video I show how I fatten the braid up and how I pin it so it will last all day. 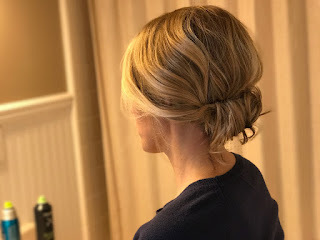 The second is a very easy up-do. This is going to take you back to when topsy-turvy pony tails were popular. You do the topsy-turvy technique and then you roll the hair up from the pony tail. You could use this style for a day at work or even for a wedding. People will be impressed with your up-do skills! The video below shows how quick and simple it can be. How fun are those styles? I need to try them! Make sure to follow Mallorie on Facebook and Instagram to learn more great tips! 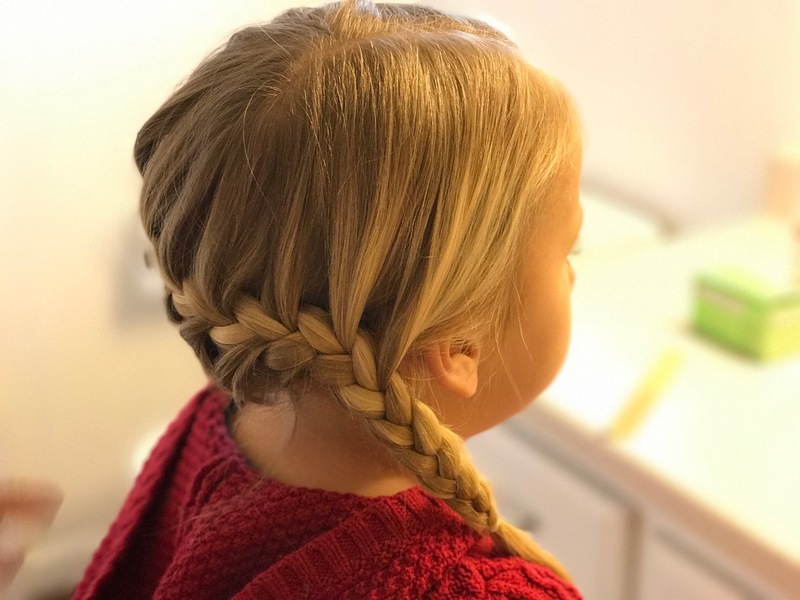 What are your go-to hairstyles for you and your daughter?